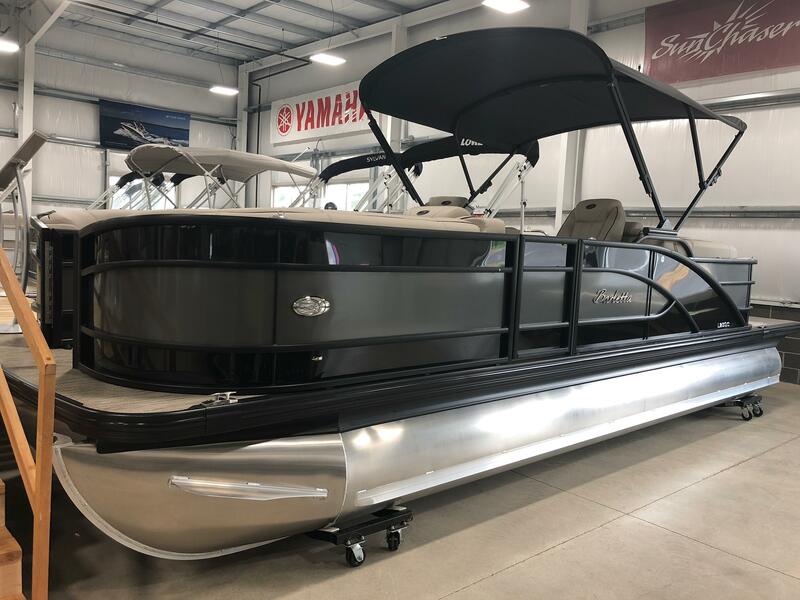 Sturdy, cutting-edge construction meets refined luxury. 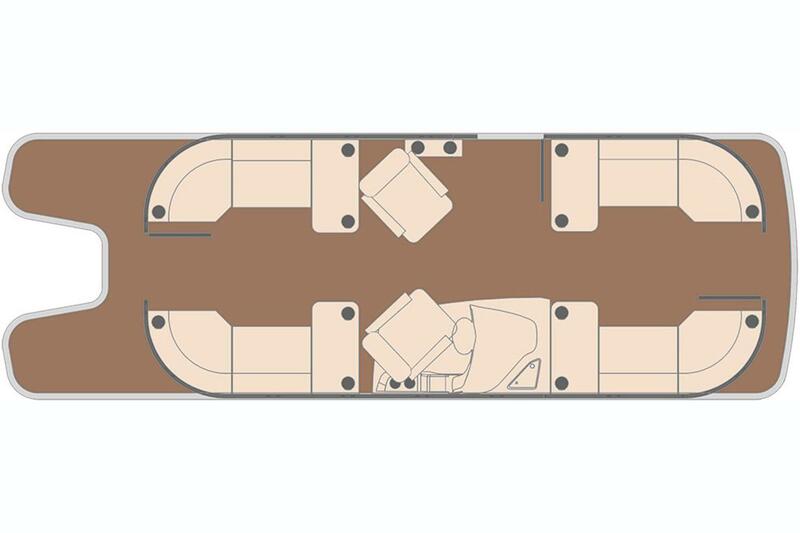 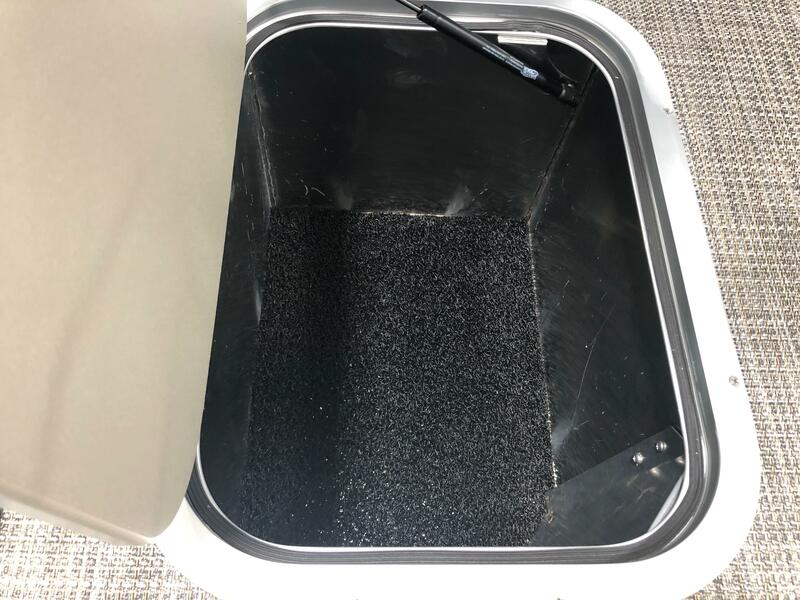 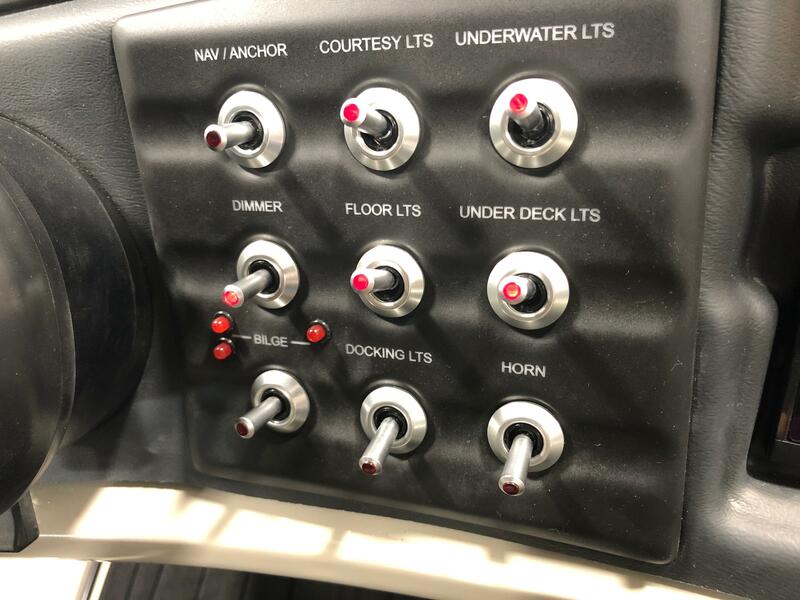 Whether you are looking for a boat that will last, a boat that will perform, a boat that will provide you with all the latest and greatest creature comforts available, or all three...the Barletta L-Class Pontoon Boats will check all the boxes. 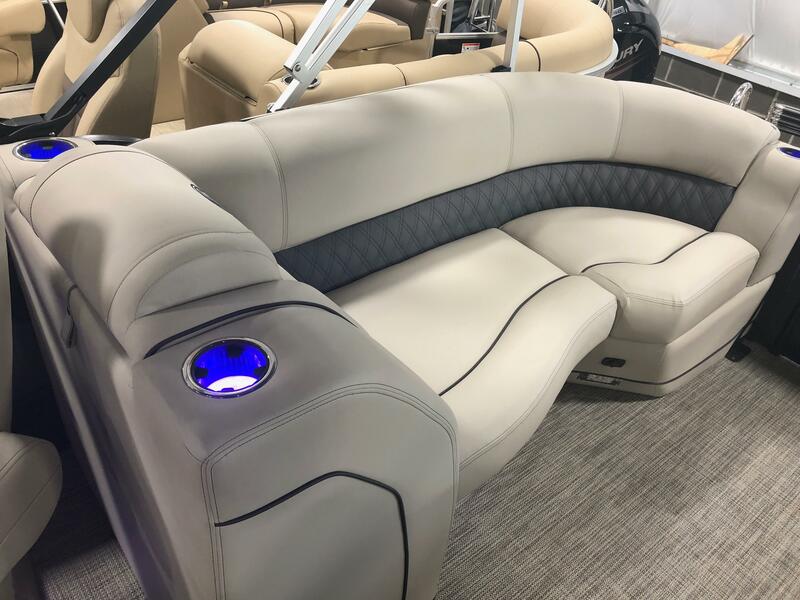 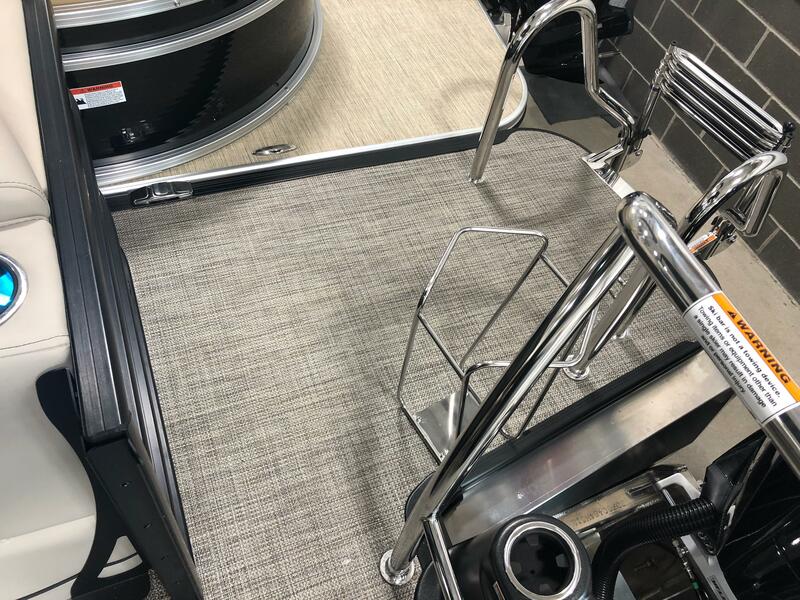 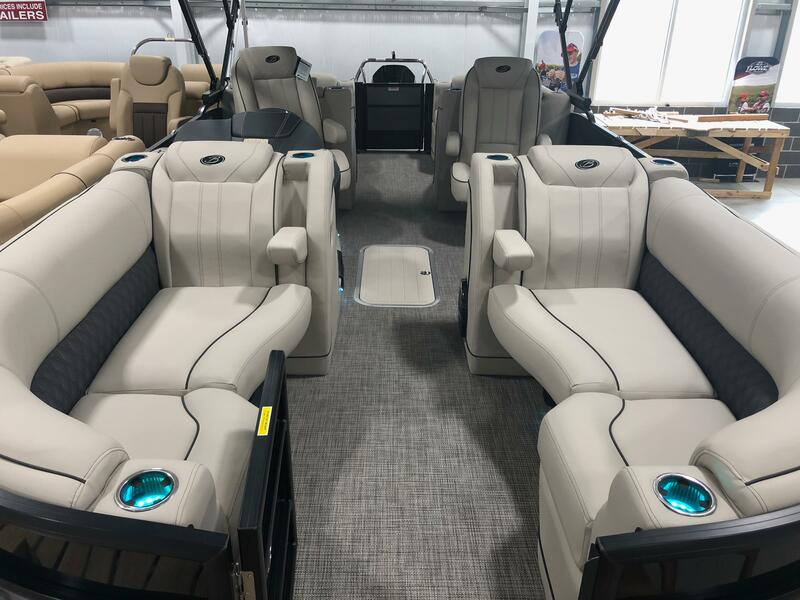 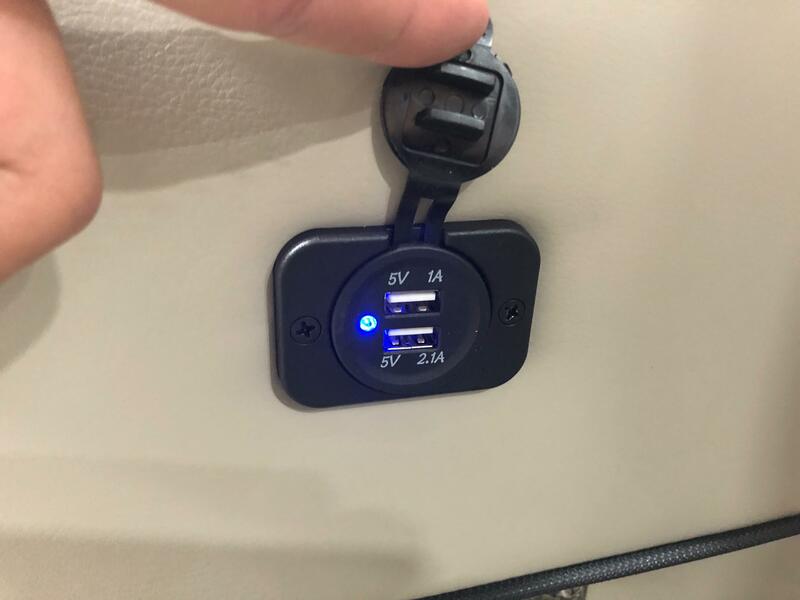 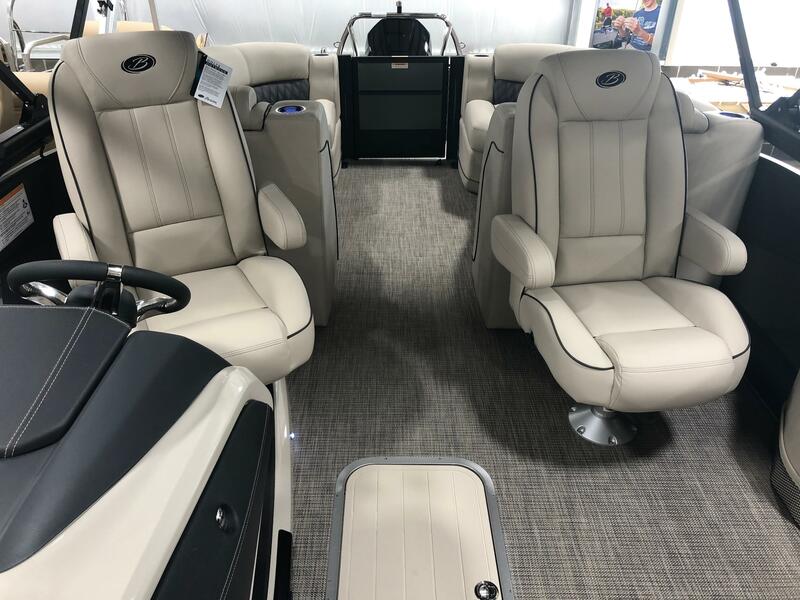 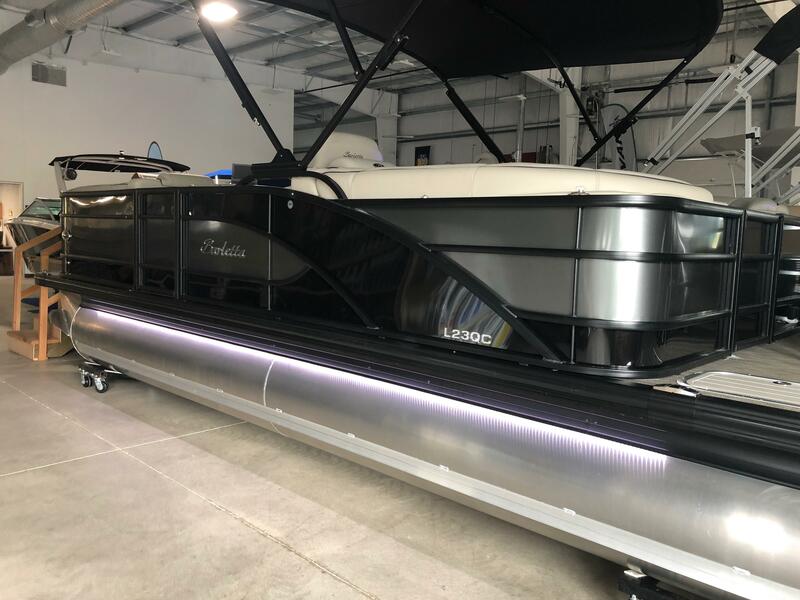 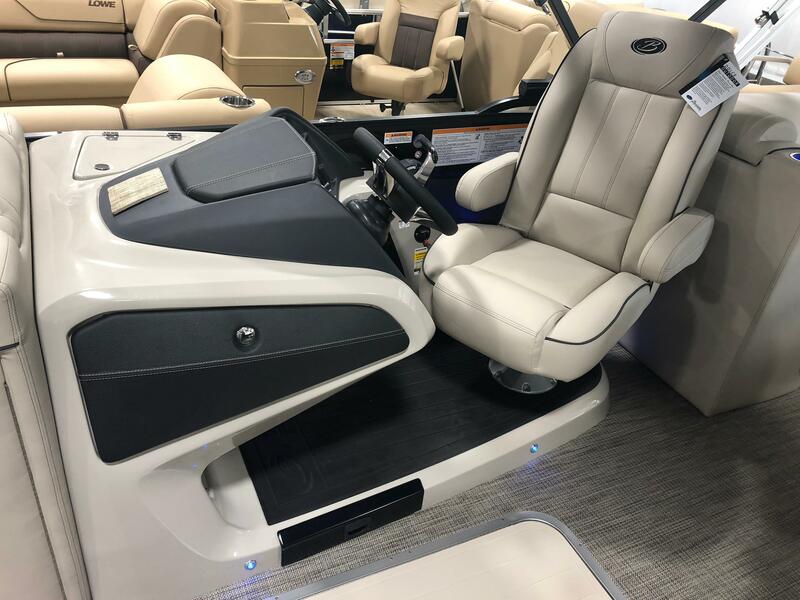 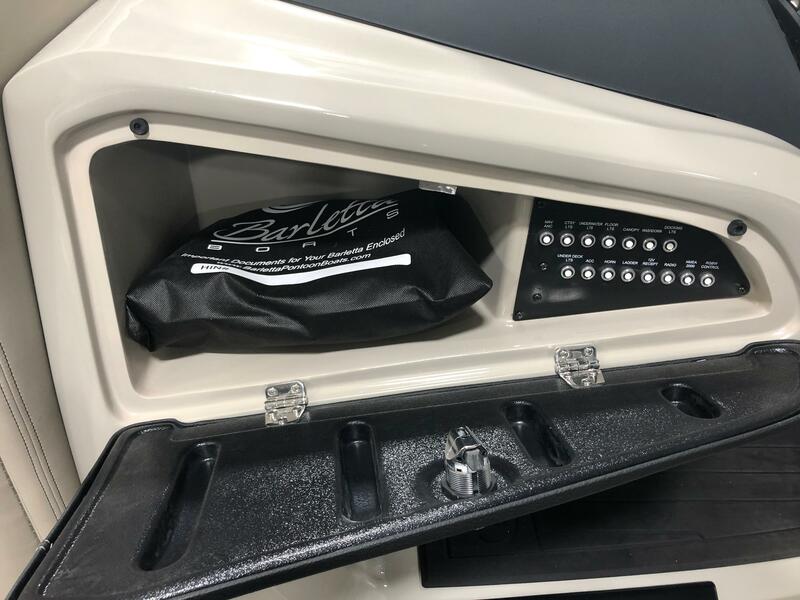 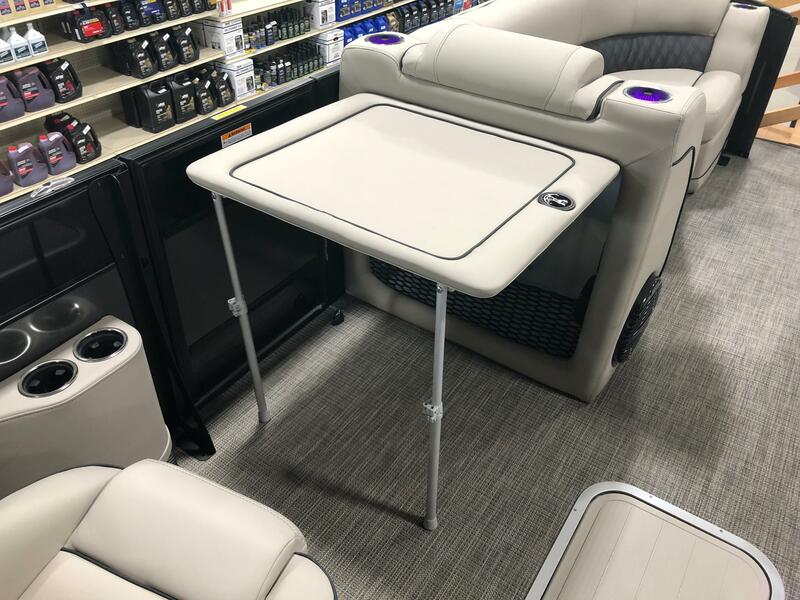 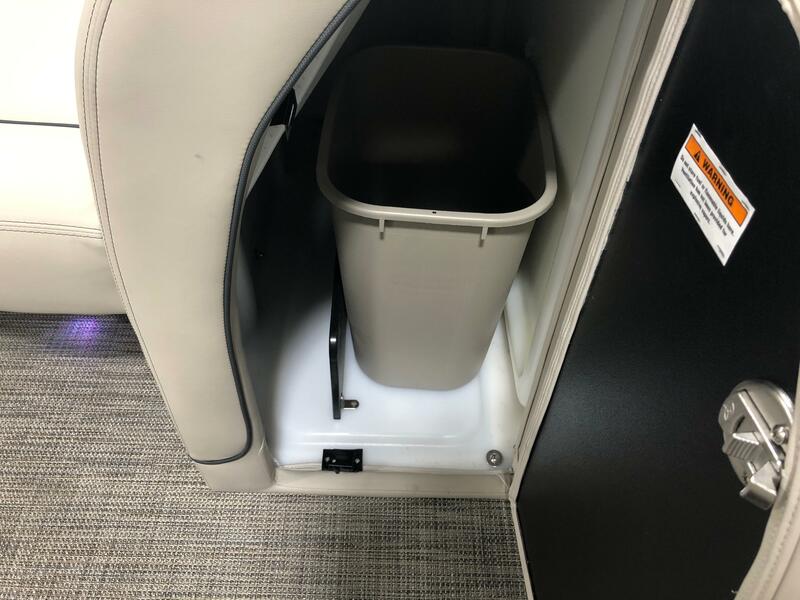 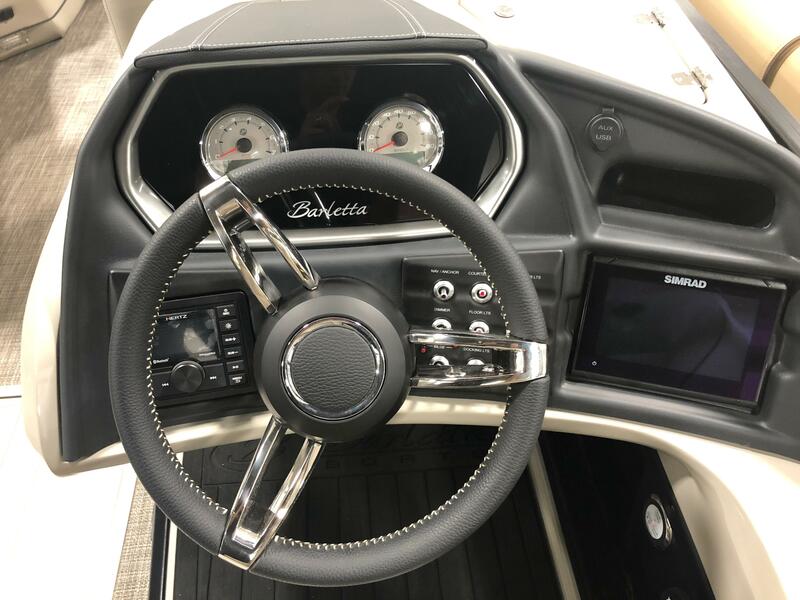 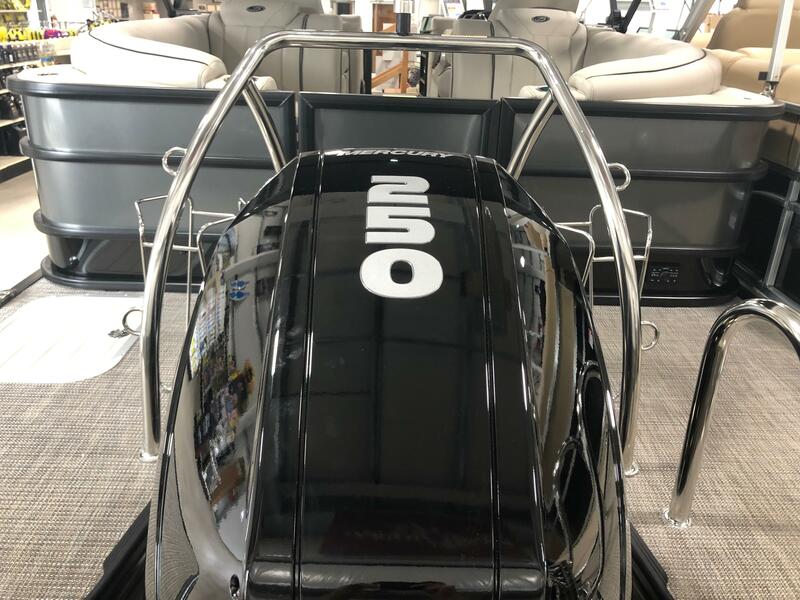 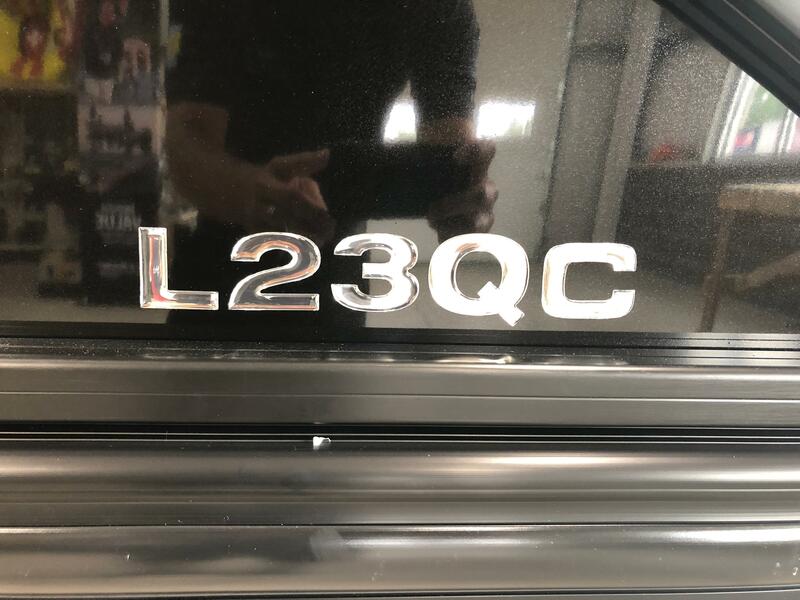 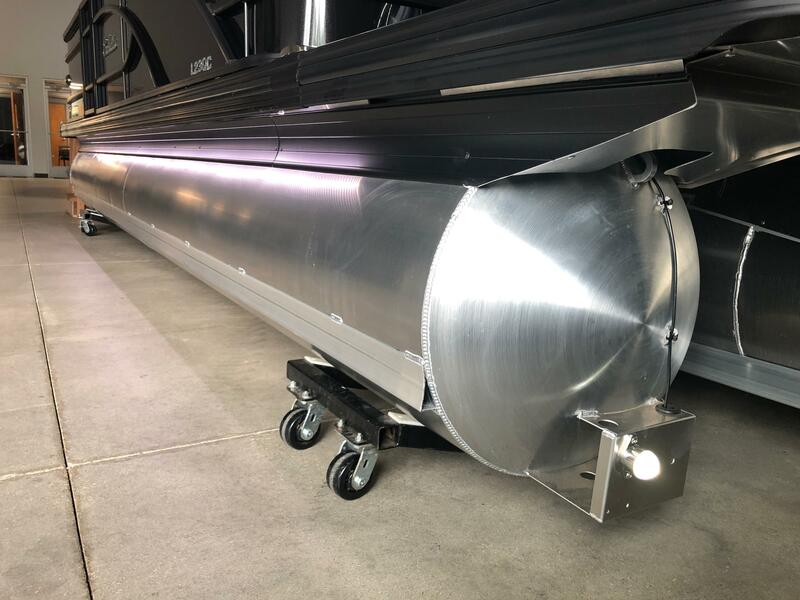 Here is a 2019 Barletta L23QC Pontoon Boat. 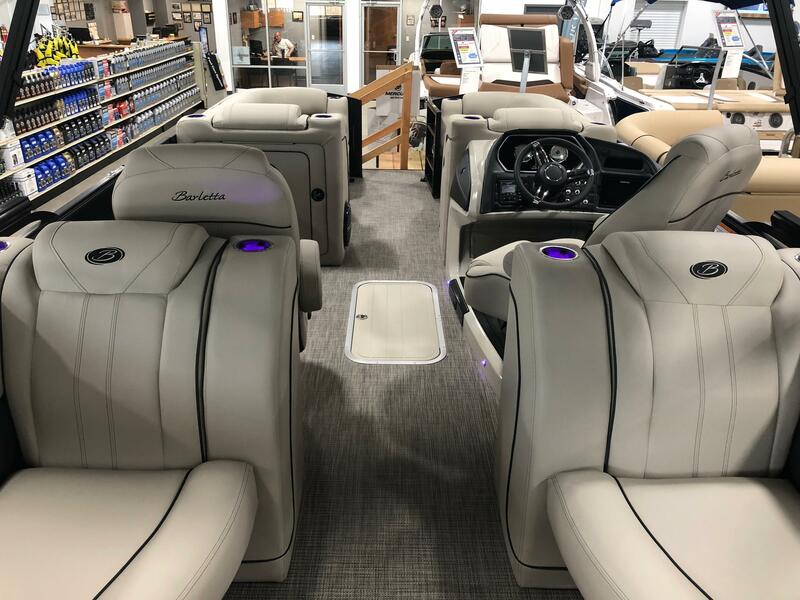 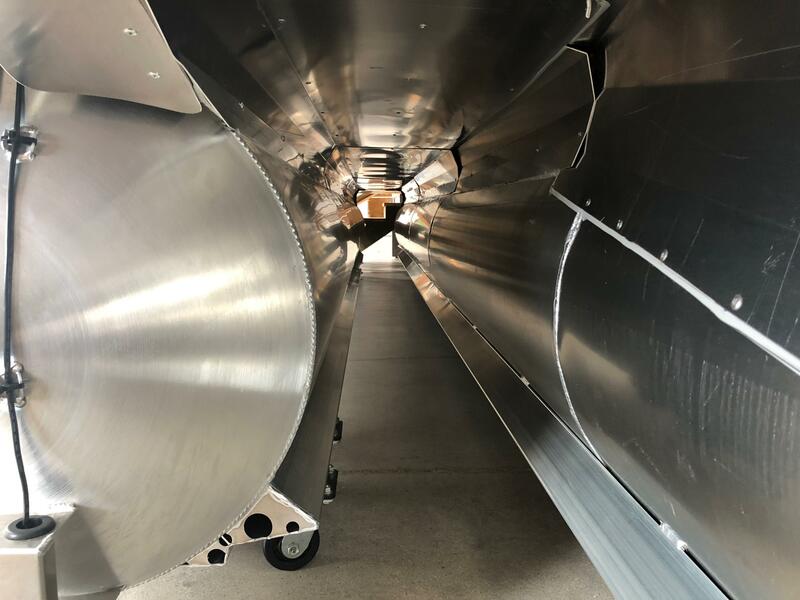 The L-Class of Barletta pontoons are like nothing you have ever seen in a pontoon boat today in the market. 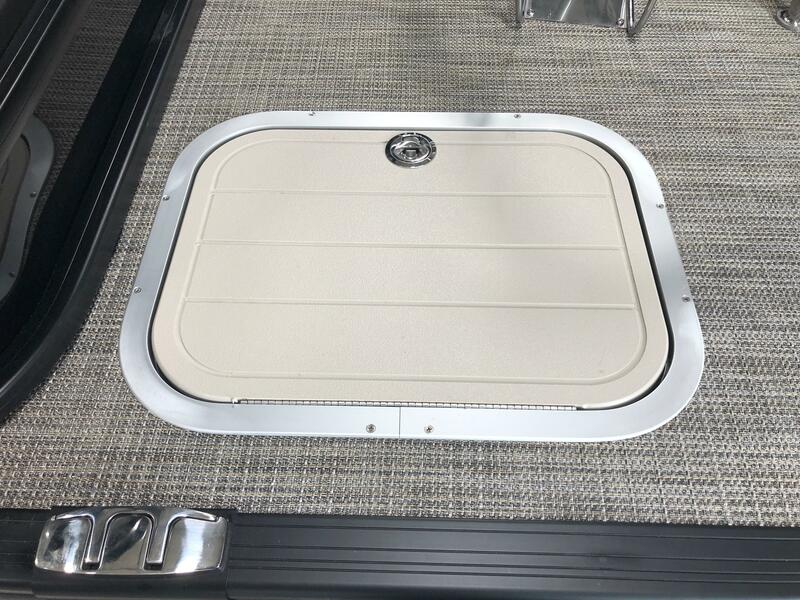 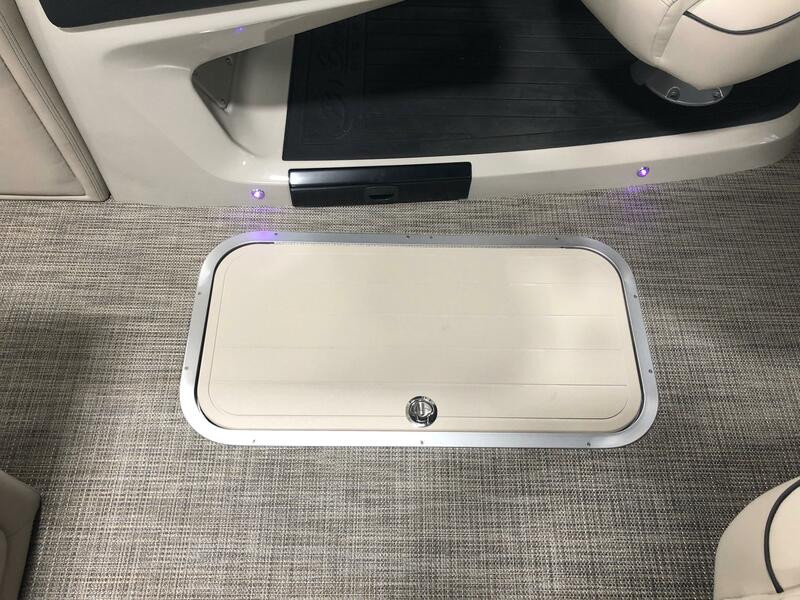 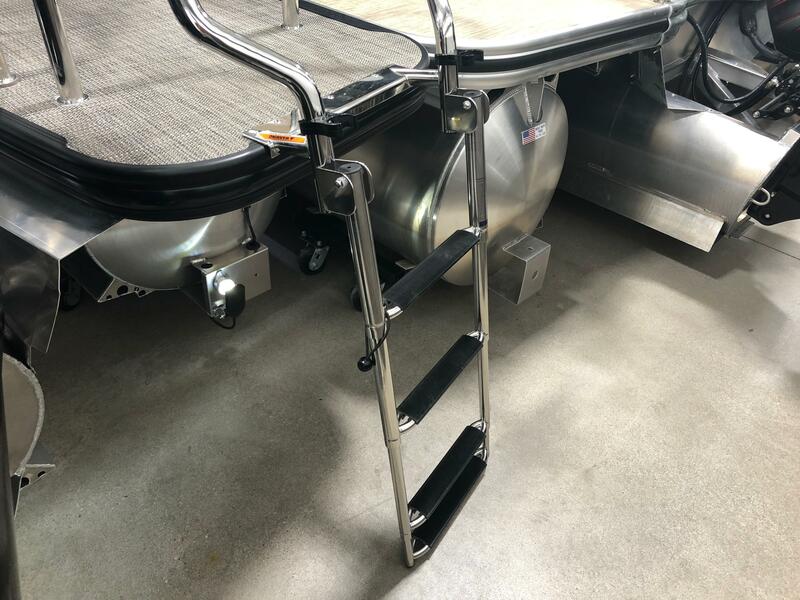 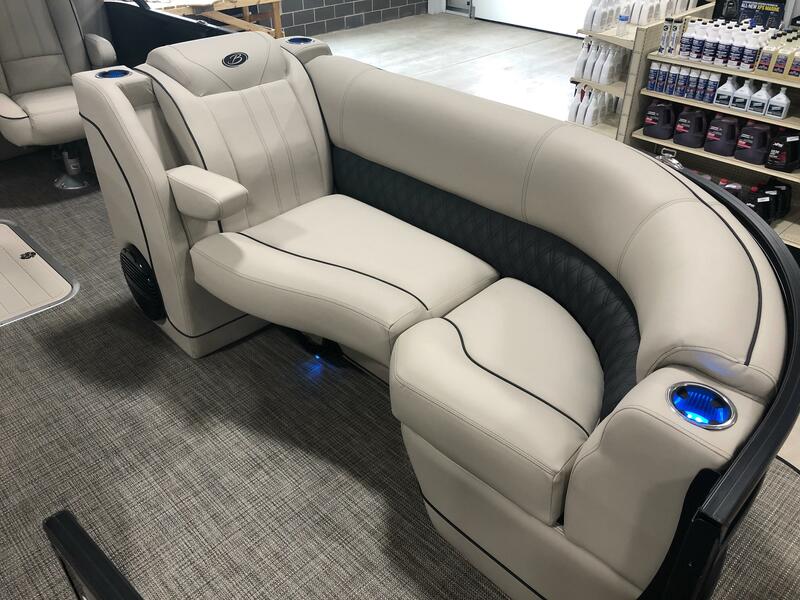 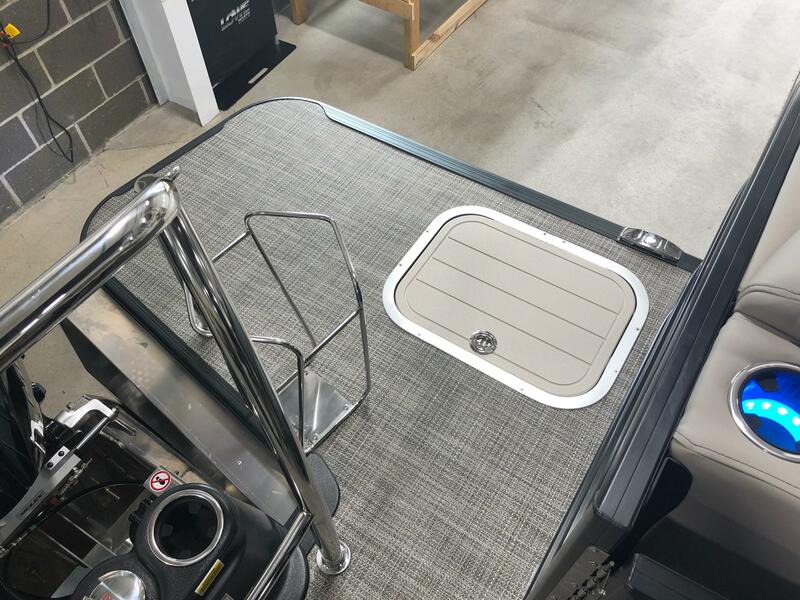 So many standard features that everyone wants in a high end luxury pontoon. 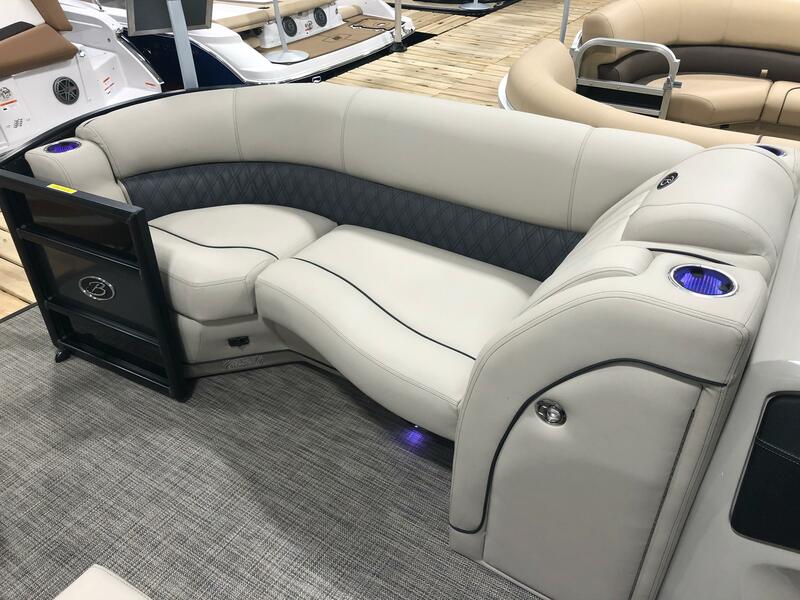 Features like power bimini, Ultra Soft Dolce marine vinyl, sea weave flooring, Simrad 7" GPS chartplotter with multifunction display with Vessel link, 26" diameter pontoon tubes, 10 year bow to stern warranty that covers EVERYTHING (Yes, we said everything) in your boat, dual battery switch, huge aft swim platform, a first in industry cooler compartment built into the tube, Vibration Isolation Pad technology (VIP) to give you the quietest ride in the industry, huge stainless steel boarding ladder and so much more standard features in a L-Class boat to talk about. 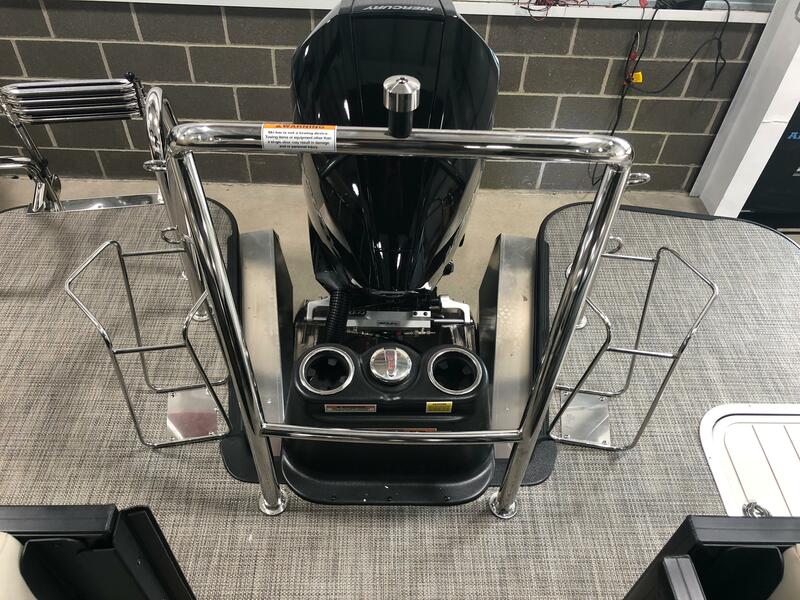 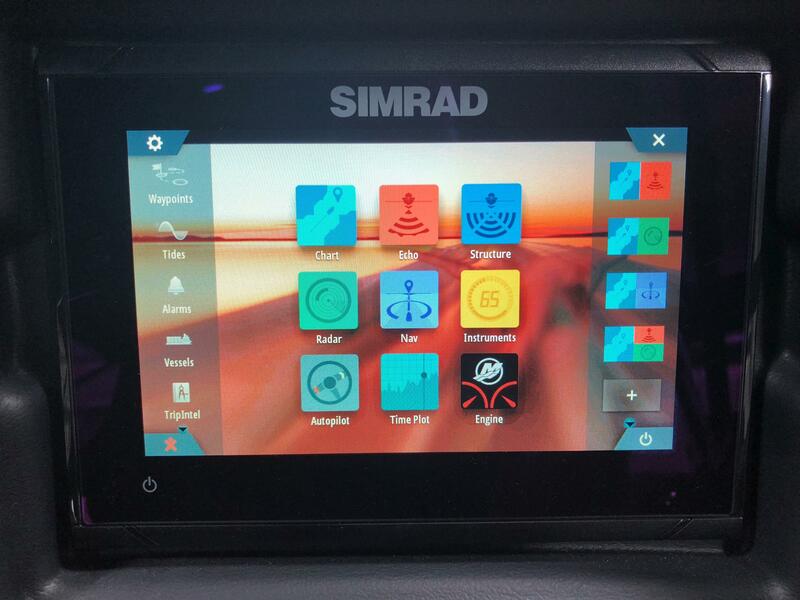 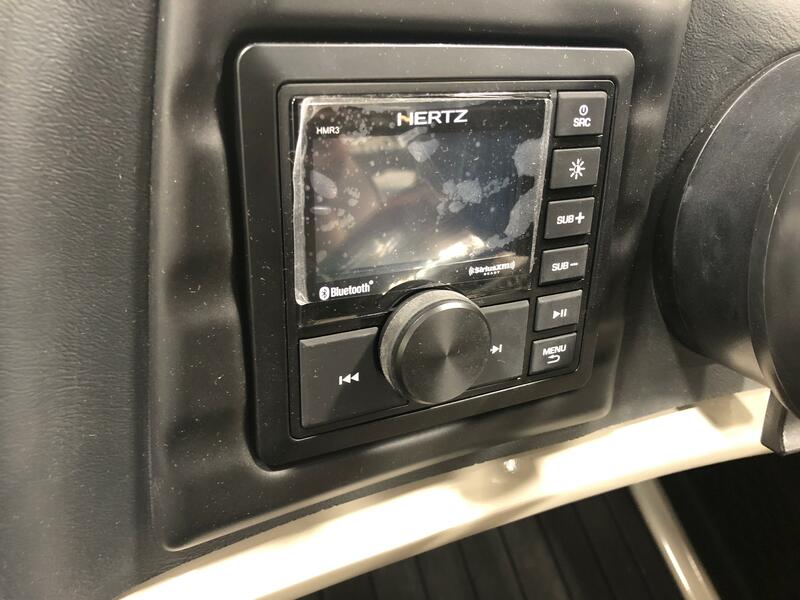 This unit has been upgraded with some more awesome features as well. 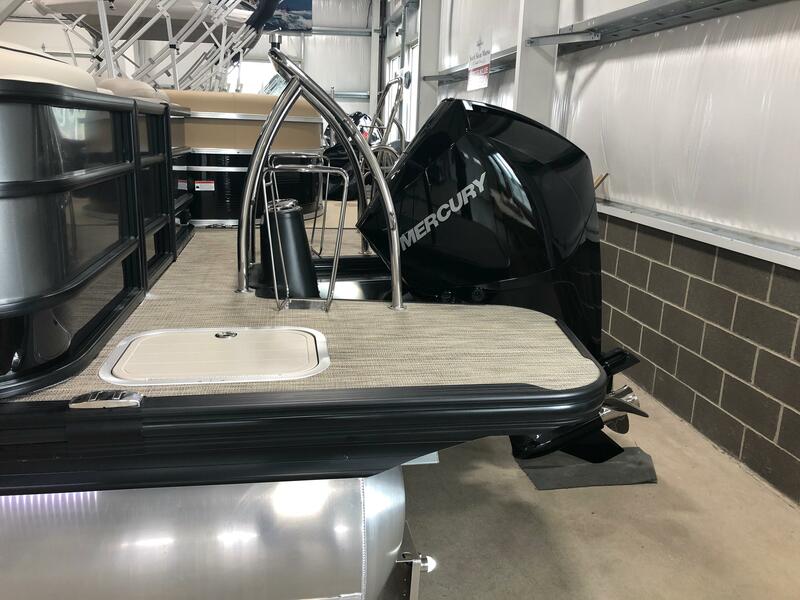 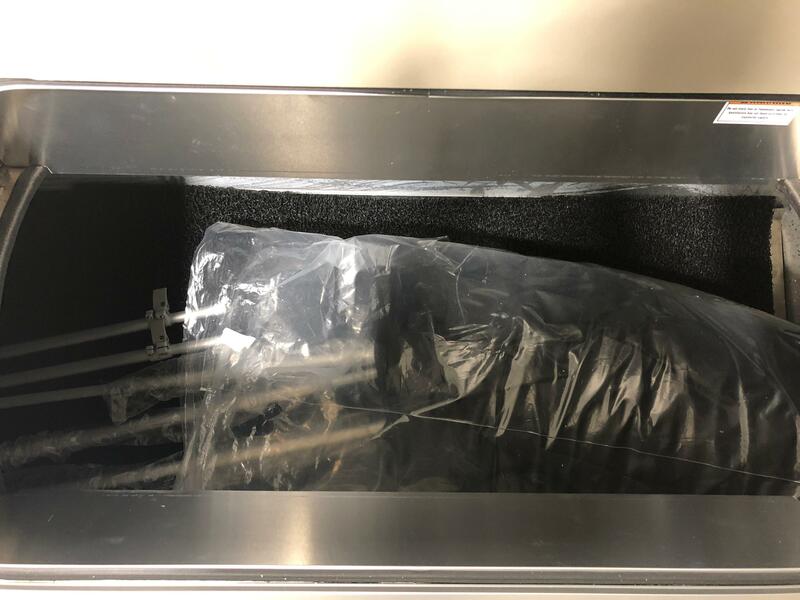 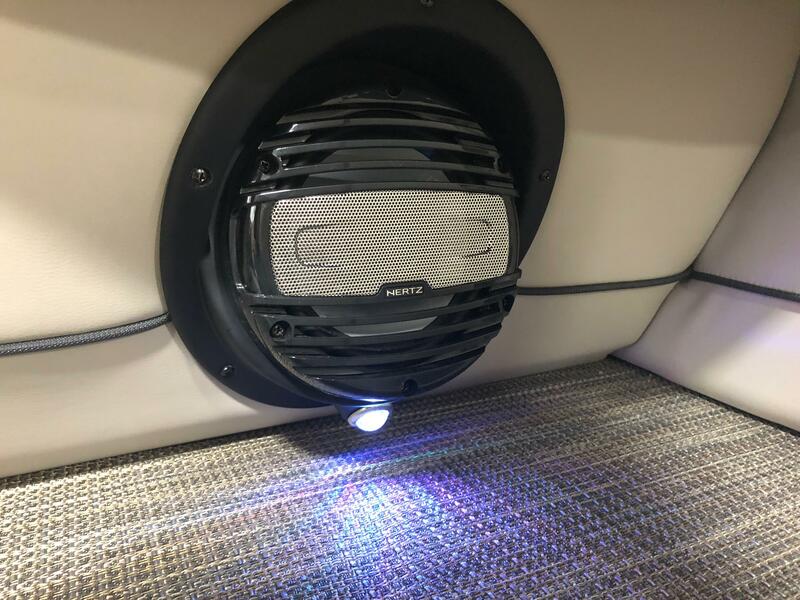 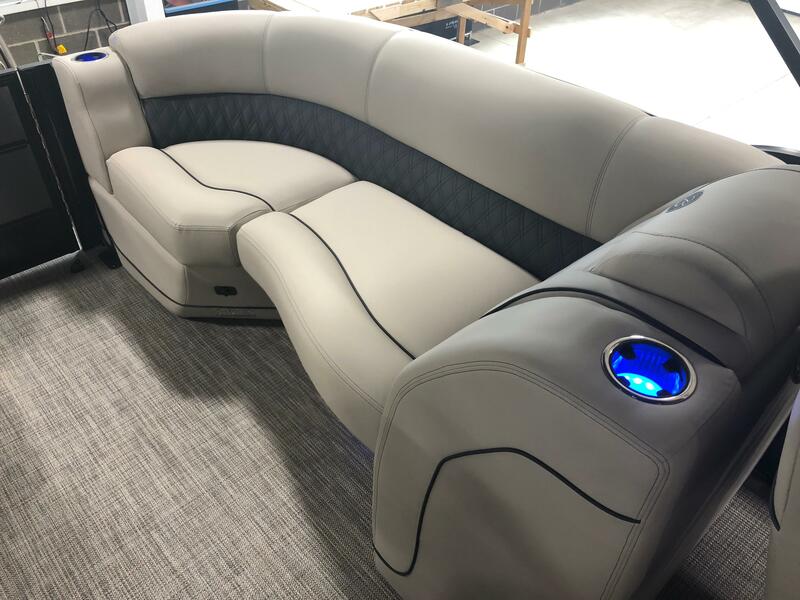 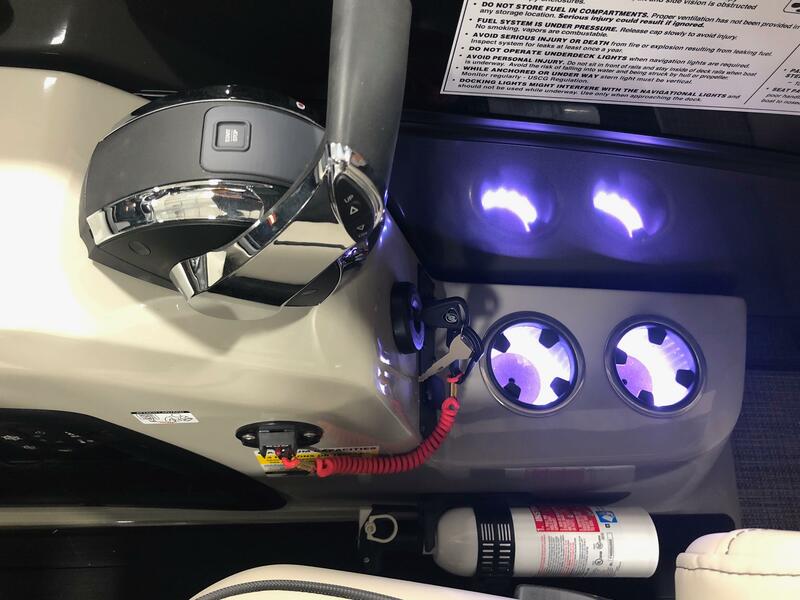 It has a full tri-toon package, complete Blackout package to give you a head turning look, underdeck and under water lights, in-floor storage, interior RGB lighting and a stereo remote at the stern swim platform. 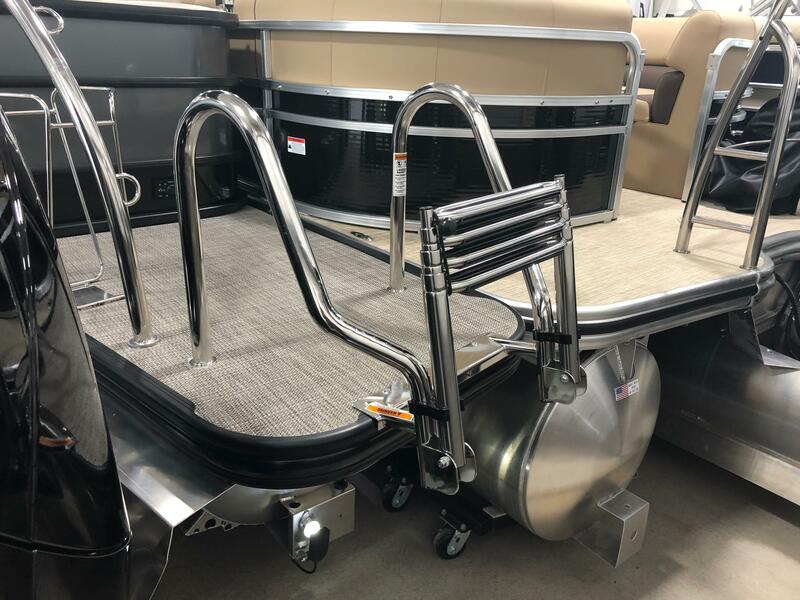 This pontoon is powered by a Mercury 250 hp V8 4-stroke outboard that features power steering, DTS and digital gauges. 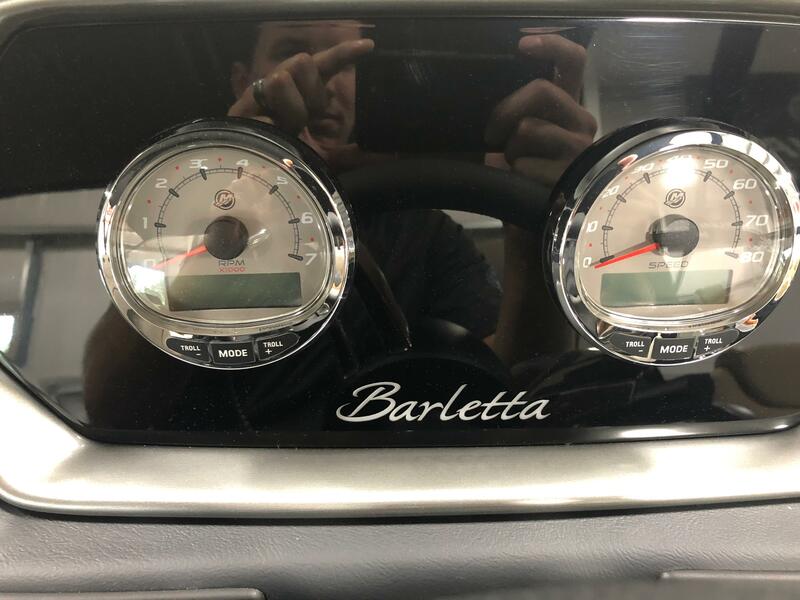 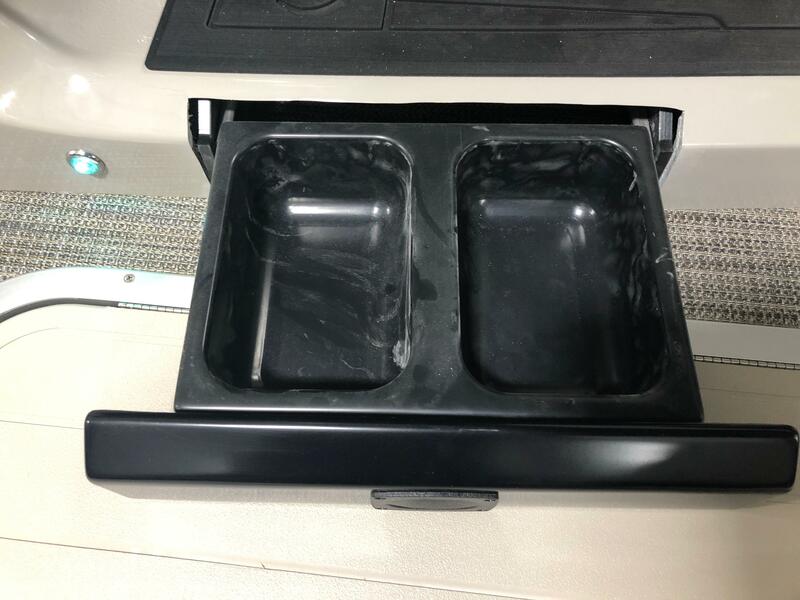 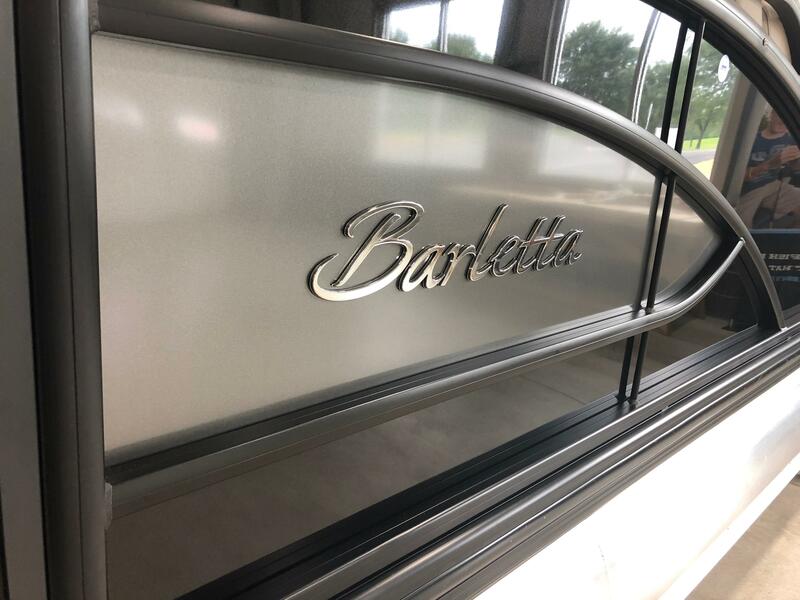 Please call us at (513)-855-4402 with any questions you may have about the new Barletta Pontoon boats.